The immediacy of the Internet has conditioned us to expect instant gratification. We’re so far past the days of dial-up that if a page takes more than two seconds to load, we check to see if our Wi-Fi is down. This gets us in trouble when we have to face a long-term project as ponderous as traditional publishing can be. What if I want my book to be available now? 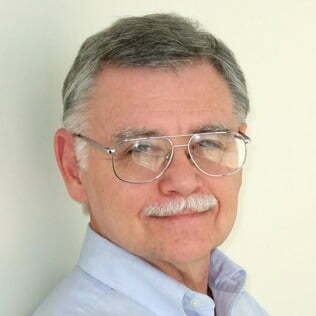 This week’s guest blogger John Hegenberger has used both self-publishing and traditional publishing to get his stories out there, and shares on the perks and pitfalls of each. The book publishing process is changing and accelerating. Thirty years? Three years? Three months? Three days? Three hours? For me, when I recently published Cross Examinations, a collection of short private eye stories, the answer was all the above. I wrote the first draft back in 1988, which is still the setting for the tales today. Not long after, I encountered a series of personal needs involving my family and friends and found it best to put the manuscript into a drawer and build a career that assured us all a steady income. It all worked out beautifully, because about 27 years later with a career completed and three children grown, I was nearing retirement and it was time to reopen that drawer. Thus, in 2012, I entered a whole new world of electronic publishing. The book went through a rewrite, along with several other manuscripts. And I began writing daily again and created another book; a novel, this time. And then an additional novel for a whole new PI series that I wanted to have published. After approximately three months of searching, I found a publisher for the first novel. Ah, but then I was faced with the prospect of waiting another eight to ten-months while the editing and publishing process advanced. That seemed like forever. I wanted to do something progressive in the meantime. So, having heard about this thing called self-publishing, I decided to give it a try with the short story collection while I waited for the novel to come out. Again, I worked through three weeks of rewrites and polishes to create the content of Cross Examinations. But then came the daunting task of learning to properly format and post an eBook. After another three days of poking around, reading up, and watching various videos, I pressed the Send button and launched my book into the world. Next came the agonizing three-hour wait before the book became fully available on the website. So, as you can see, the process contains many stages, but at each step along the way, I knew I was getting closer to the fulfillment of my dream. Looking back, it doesn’t seem to have been all that long, after all. I’m happy I took the time and I learned a lot from the process and quite a bit about marketing, too. 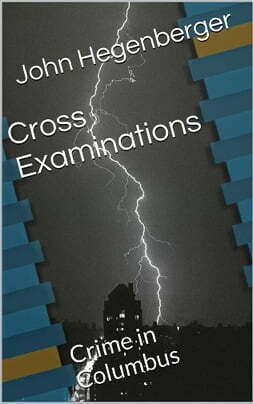 In fact, I now have two sequels out for Cross Examinations: Crossfire and Tripl3 Cross. Crossfire was completed last December, edited by the publisher, Rough Edges Press, over the holidays, and launched in January 2016. Oh, and that first novel finally came out in November 2015. It’s titled Spyfall and is part of a second series of private eye novels, featuring a different detective, Stan Wade, LAPI. Spyfall was also written and sold early last year and saw print in November 2015. The second volume in this series, Starfall, will come out in February 2016, with several additional entries later in the year. In both cases, the books have been fully edited and packaged by the publishers. The main difference is the speed of delivery to the readers. In this era of “binge-watching” TV series, it appears that readers want more of an immersive reading experience. By the time Killer Nashville 2016 rolls around, I should have a good handle on which publication cycle the readers prefer. Perhaps it doesn’t matter so much how long it takes to get a book written, as how quickly the book can be offered for public enjoyment.